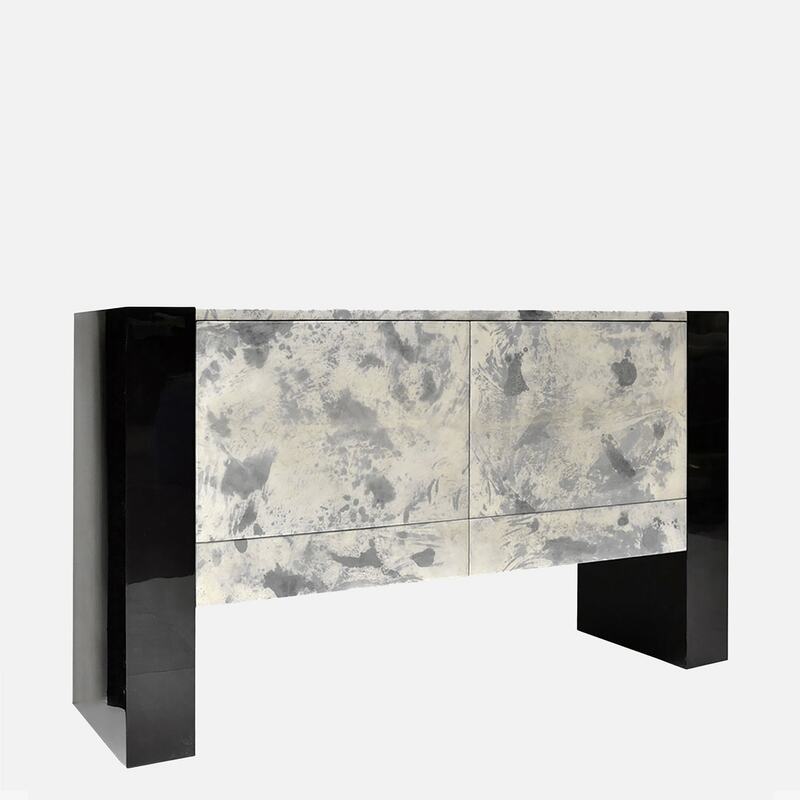 This versatile entertainment piece is ideal for storing entertainment equipment or could be used as a bar cabinet - a great compliment to a modern luxury interior setting. 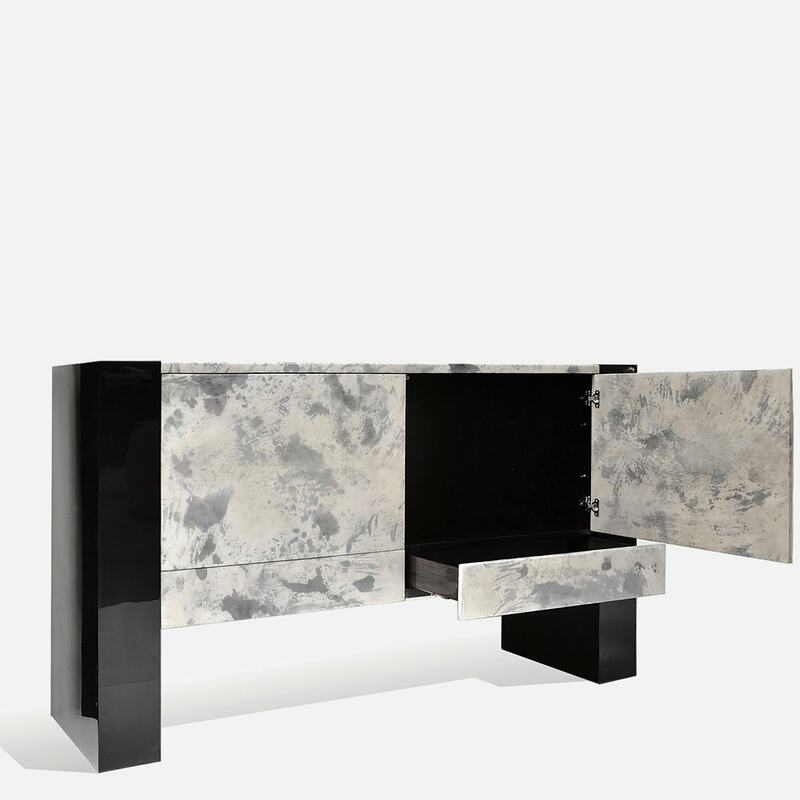 This legs are black high-gloss polished lacquer and the center is accented with goatskin. The doors and drawers have a push-latch mechanism which allows easy opening and closing without any visible handles. 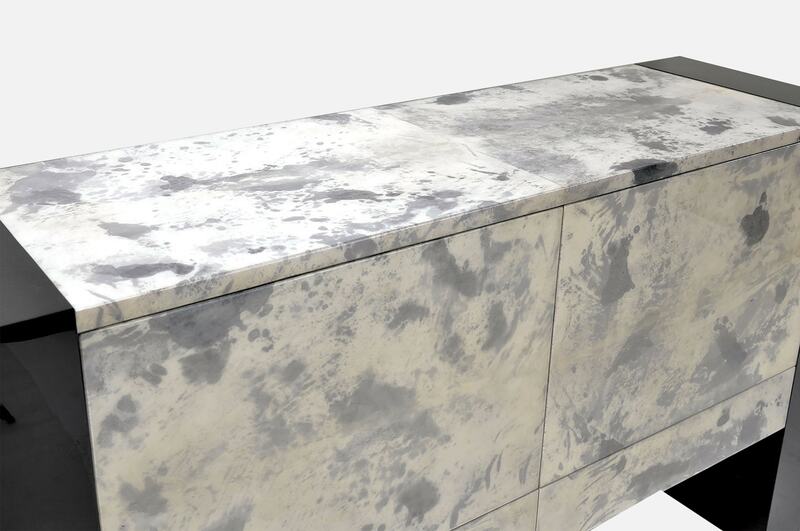 This cabinet is as functional as it is esthetically impressive. W 71" x D 20" x H 42"